Today’s laundromat is a far cry from the original conception of a simple, convenient place to wash your clothes. In fact, if you walk into any of the new state-of-the-art launderette facilities, you may be hard-pressed to even realise you’re in one with the coffee bar to your right, a few massage chairs to your left, and a cosy study nook on the other side of the room. 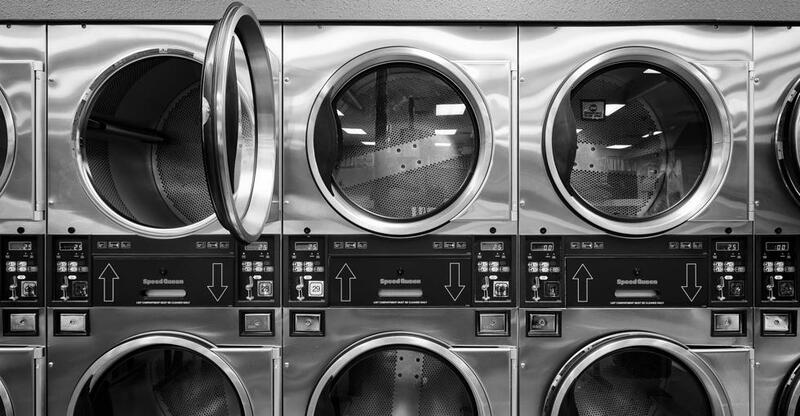 Creative entrepreneurs have completely redesigned the typical laundromat business model and transformed it into an innovative service that meets a variety of needs while offering a few more luxury amenities than just clean clothes. Provide delivery and ironing services, as well as garment repairs and alterations. Cater to local businesses by offering affordable uniform services. Offer a variety of yummy treats and relaxing seating. Adjust your hours of operation to achieve maximum profit. For instance, if you’re located in a college town where students thrive on late-night schedules, consider staying open 24 hours per day. Create a welcoming environment for parents to bring their little ones by establishing a dedicated play area for children. Parents will appreciate being able to keep their kids occupied while they tackle a time-consuming chore. Supply free Wi-Fi and cosy seating for studying or working, and provide an assortment of games to help your customers unwind and relax during what is usually a monotonous task. Remember, you have to spend money to make money. Even though it’s expensive to buy energy-efficient, industrial-sized washers and dryers, investing in high-quality equipment up front will minimise your need for costly repairs and replacements. Also, if you’re buying an existing coin-operated laundromat, consider installing a card system with readers on the machines, a card dispenser and cards, and the software that will allow you to compute equipment usage and adjust prices. Although this is a substantial initial investment that will cost you anywhere from $50,000 to $100,000, it will ultimately attract more customers. In an increasingly cash-free society, your patrons will appreciate the ease and flexibility of a card system. Large initial investment: Typically, the average-sized laundromat costs around $200,000 to $500,000. Plus, it can be expensive to upgrade equipment, install a card system, and offer additional amenities. Demanding schedule: You are basically always “on call.” With potential machinery breakdowns and late-night customer questions, you have to be ready and available to assist people 24 hours a day, 7 days a week. Unpreventable, inherent risks: Laundromats are susceptible to floods, mechanical failures, coin jams, and network outages. Mature market: The industry is what experts describe as a "mature market." So be strategic in choosing your location, and be competitive. Offer a bigger, better laundromat that provides multiple additional services. Hidden fees: Do your research to determine any additional, hidden fees the local government will apply to your industry, such as sewer connection “hook-up” fees, as well as impact, tap-on, and wastewater fees. This is where the value of completing due diligence comes in. If you were thorough and methodical during the buying process, you should be able to avoid unnecessary surprises as the new owner. As you become more established, don’t forget the importance of continually delighting your customers. Think of ways to expand your customer base by offering special promotions and discounts. However, don’t solely depend on your repeat customers and walk-by traffic. Strive to establish recurring revenue by securing contracts with hotel chains, hospitals, and other commercial businesses. Also, be creative! Consider giving your launderette a fun theme. For example, if you love old movies, create a vintage theatre vibe by hanging up old movie posters and coordinating decor. Customers will appreciate the ambience and will likely tell others about your unique business. First and foremost, always concentrate on providing an exceptional customer experience. Increase the additional amenities you offer, adjust your hours of operation to meet your patrons’ needs, and respond to any suggestions for improvement. Stay ahead of your competition, focus on the details, and offer superior service—from start to finish. Finally, when you’re ready to hang up the towel and begin the next cycle of your entrepreneurial journey, visit here and let us help you make a smooth exit.